It was so much fun being a part of Briana's maternity portrait session. She allowed me to use new locations and gave full trust in the final product that she would be receiving for her Mom of the Month session for February. 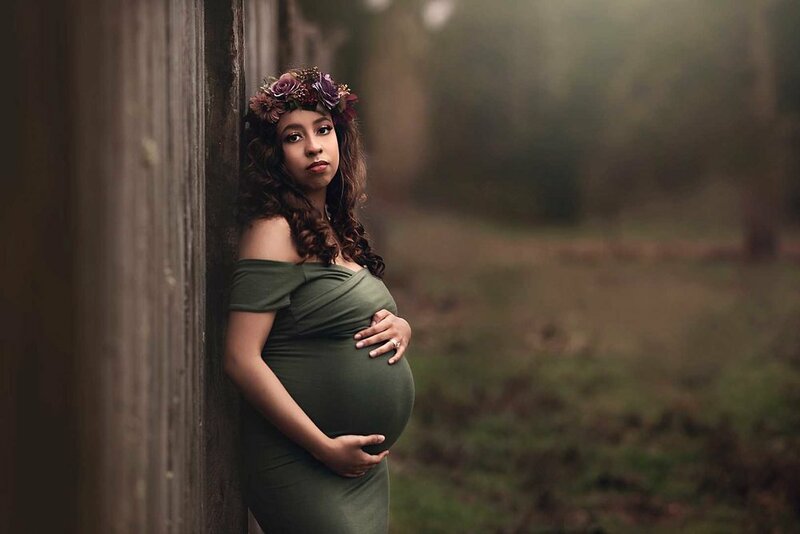 I love that I can be a part of the JBLM community in offering maternity sessions close, convenient, but high end session experience. Here is a before and after showcasing my hand editing techniques for one of her portraits. I just loved how it turned out! Briana is pregnant with a little boy and herself, husband and big sister can't wait to meet him! This was a planned pregnancy. Her body did not respond well to her first pregnancy and for being so young and healthy, her and her daughter faced a lot of unforeseen complications. A year later her doctor explained and recommended that she not wait too long if she wanted to have more children. Briana continues to explain that through the excitement, it is also hard. She realizes that her youngest still needs her, (as I am sure many of us mama's know when you have children and are expecting) and that you think to yourself and worry that there won't be enough to go around. But isn't it amazing how your love multiples and you never realized that your love could grow that much more? After a scary emergency c-section experience with her daughter, Briana is excited and hopeful for a VBAC delivery with her son. She's hoping he's cooperative and it all goes smoothly. Thank you so much Briana for sharing your story and pregnancy journey. Thank you for being Stephanie Ratto Photography's featured Mom of the Month for February 2018. Once again, Thank you for choosing me to be a part of this special time in your life.